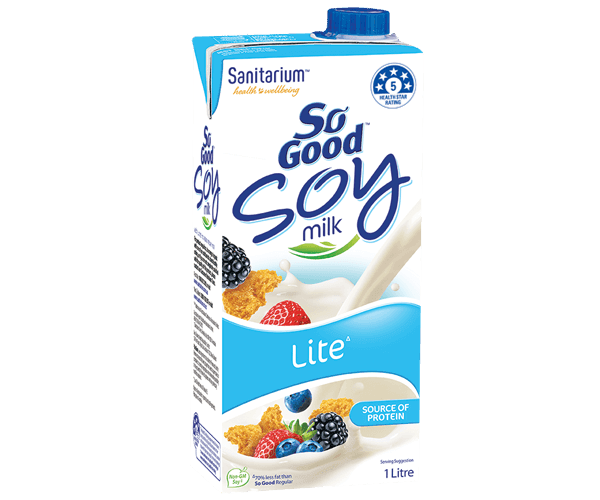 So Good™ Regular soy milk from Sanitarium New Zealand, is a nutritious and delicious creamy milk made from soy. With protein and essential minerals, it’s naturally lactose and cholesterol free. 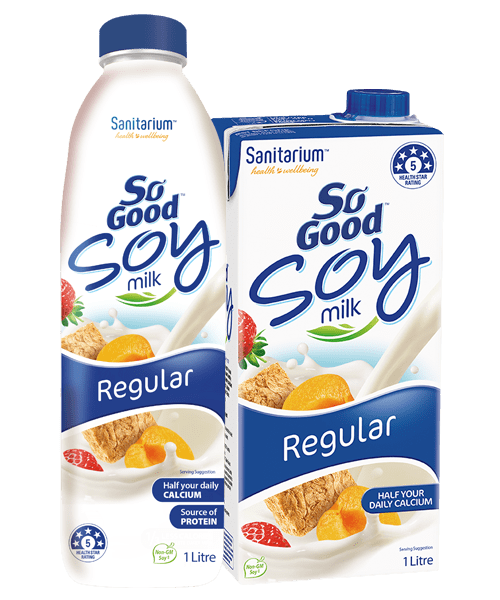 And with the added benefit of half your daily calcium and vitamin D in one glass, So Good™ Regular may be the milk for your body and your life. Available in the Long Life Milk section of your supermarket and also available chilled in selected stores. So Good™ Regular (and Essential) is low in saturated fat, sugars and sodium, plus it contains protein. These are important factors which contribute to the 5 star rating that So Good Regular achieves. 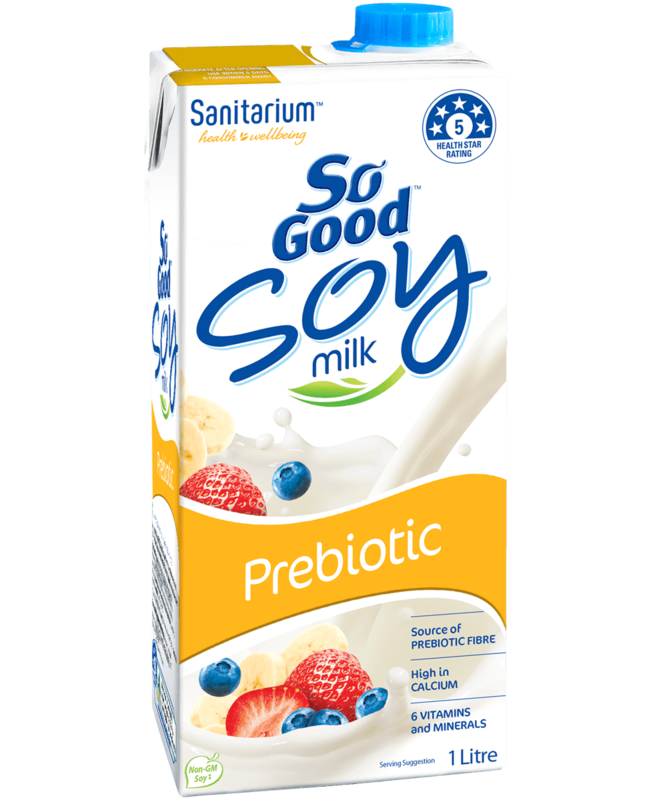 # So Good™ uses soy protein that is Identity Preserved. Identity Preserved means that every stage from seed to supermarket is controlled, to maintain segregation and minimise the possibility of mixing Identity Preserved soybeans with any genetically modified soybeans. 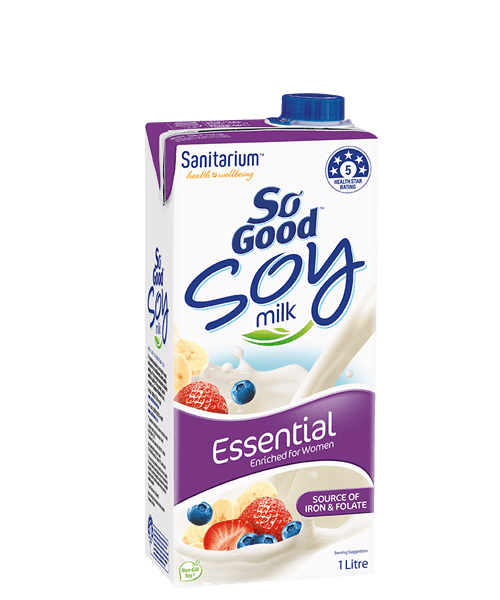 Filtered water, soy protein (3.5%), corn maltodextrin, vegetable oils (sunflower, canola), cane sugar, minerals (calcium, phosphorus, magnesium), acidity regulators (332, 450), antioxidant (ascorbic acid), vitamins (A, B12, D2, B2, B1), natural flavour.